Based on a Home Ministry briefing, Prime Minister Manmohan Singh has told Science magazine that certain US-based NGOs are funding protests that hold India back from developing nuclear energy and applying biotechnology to raise food production. Both the building of nuclear reactors and the proposal for allowing commercial use of Bt brinjal have raised fears not only among NGOs but also citizens at large. For nearly two decades, Punjab has ignored the alarm bells that have been ringing over the drastic rate of fall in the ground-water table. Is the state — the government and farmers included — waiting for the death knell to sound before any meaningful action is taken? That may sound like rhetoric, but is not far from reality. In another two decades, ground water across the state may sink to a level from where the present pumps would not be able to draw. Pakistan’s Balochistan problem continues to be a festering sore with rebel leaders from the province having got asylum in Switzerland a few years back. The harsh policies of Islamabad forced them to first go underground and then move abroad after the killing of Nawab Akbar Khan Bughti in 2006. Since then they have been effectively carrying on their crusade to end the exploitation of Balochistan by Islamabad. Among the nationalist Baloch leaders working from abroad are Nawab Bughti’s grandson Brahamdagh Bughti and Hyrbyiar Marri. The announcement by Leon Panetta, US Defence Secretary, that the US could end combat operations in Afghanistan in 2013 — instead of 2014, as declared earlier — and concentrate on providing training for Afghan forces was the first time a senior Obama administration official had made such a statement. It took even America’s NATO allies by surprise, although some of them — especially France and Britain — were already thinking of cutting back on their own military operations. This incident happened many years ago. I was in Lucknow and my friend Ranjan (where is he now?) had invited four of us to see Dr Zhivago. The film was half an hour through when the usher came in and flashed his torch at us and asked to see our tickets. There was a group of rather rowdy young men with him. After some loud arguments it was established that the management had issued two sets of tickets with the same numbers. How it hurts when your children do not share the same enthusiasm for Tintin, when you take them to show Stephen Spielberg’s film on the intrepid comic character with a child-like gusto! For a generation that grew up on the lone legitimate means of entertainment — comics, this insouciance can be heartbreaking. Perhaps, the new breed of Indians has met its indigenous expectations in comic characters — born and bred on the Indian soil, shaped by Indian situations and fired by the very Indian imagination. Based on a Home Ministry briefing, Prime Minister Manmohan Singh has told Science magazine that certain US-based NGOs are funding protests that hold India back from developing nuclear energy and applying biotechnology to raise food production. Both the building of nuclear reactors and the proposal for allowing commercial use of Bt brinjal have raised fears not only among NGOs but also citizens at large. After the Chernobyl and more recent Fukushima tragedies many people have misgivings about nuclear plants. Ideally, these should have been best addressed by top scientists of unimpeachable integrity. The country needs an authoritative and convincing assurance on the safety of nuclear energy and genetically modified foods. Street protests and TV debates may rouse passions on sensitive issues, but leave doubts behind. If NGOs getting foreign funds for religious purposes or fighting leprosy are diverting money to engineer protests, the law should take its course and the cancellation of their licences should not appear motivated. More importantly, there is need for creating awareness about technologies having a bearing on the environment and lives of people at large. Philanthropic NGOs with limited resources cannot match the information offensive a government can launch on a vital issue. Many well-meaning citizens and public figures also oppose or are sceptical about nuclear plants. The Tamil Nadu Chief Minister backs the protesters at Kudankulam. The Haryana Chief Minister is soft on anti-nuclear protests in his state. The Punjab Chief Minister abandoned the nuclear power project after protests. India’s growing power demand-supply gap is a major bottleneck to achieving double-digit growth and all energy sources, including nuclear, should be tapped, considering risks, pollution and costs. There are hurdles, including some self-created. A heavy dependence on polluting coal, a ban on mining, the rising cost of imported coal, land acquisition problems, delays in environmental clearances, banks’ reluctance to lend more to power projects without assured fuel supplies and neglect of renewable sources of energy are thwarting India’s dream for energy security and faster growth. These are the challenges that need attention. NGOs can at best be a small irritant — nothing more. For nearly two decades, Punjab has ignored the alarm bells that have been ringing over the drastic rate of fall in the ground-water table. Is the state — the government and farmers included — waiting for the death knell to sound before any meaningful action is taken? That may sound like rhetoric, but is not far from reality. In another two decades, ground water across the state may sink to a level from where the present pumps would not be able to draw. That would necessitate tapping of what are called deep aquifers — beyond 300-400 ft below ground level. This would not only be prohibitively expensive, but also begin finishing of what may be the last reservoir. The implication is that if we do not act now, the state’s farmers may not only lose out on the water-guzzling paddy, but also on all other crops that need any irrigation at all. Releasing the latest figures on the water level — which are ‘alarming’ yet again — the Central Ground Water Board has also made certain recommendations such as water-saving techniques for farming, recharge, regulating power supply, etc. The fact is that all this has been debated to death already by scientists, economists and the government. What is lacking is action. And the one and only impediment to that is politics. Every government is scared of any action that may be “unpopular” with the farmer. What needs to be realised here is that the tendency of the farmer is not suicidal. If sufficient awareness is created regarding the critical situation, he will be prepared to accept tough decisions too, such as an end to free power supply and re-engineering of subsidies to incentivise resource-conservation rather than consumption for greater financial gains. There is proof too — farmers made no noise against the ban on the extra pre-monsoon crop of paddy that was once popular. In any case, free power or no power, every government in the past two decades (till 2007) lost the elections. Why not give a good deed a try? Pakistan’s Balochistan problem continues to be a festering sore with rebel leaders from the province having got asylum in Switzerland a few years back. The harsh policies of Islamabad forced them to first go underground and then move abroad after the killing of Nawab Akbar Khan Bughti in 2006. Since then they have been effectively carrying on their crusade to end the exploitation of Balochistan by Islamabad. Among the nationalist Baloch leaders working from abroad are Nawab Bughti’s grandson Brahamdagh Bughti and Hyrbyiar Marri. However, the Balochistan Nationalist Party chief, Sardar Akhter Mengal, has been fighting for the cause of Balochistan from within Pakistan. He has rejected the Pakistan government’s latest offer that all the cases against the Baloch leaders in Europe will be withdrawn if they come back home. The offer came after some behind-the-scene meetings between the two sides. The Baloch leadership is unimpressed by Pakistan Interior Minister Rehman Malik’s announcement of amnesty because of the huge trust deficit between the government and the Baloch rebels. Islamabad’s attitude has always been discriminatory against Balochistan and hence their unwillingness to take any offer from the government seriously. The Pakistan government cannot succeed in winning over the hearts of the Baloch so long as the trust deficit remains. There is, in fact, need for a complete reversal of the Balochistan policy of Islamabad. Pakistan must launch large-scale development projects in its most backward province which is otherwise the richest area in terms of natural resources--- oil, gas, uranium, copper, gold. Balochistan has the lowest literacy rate and the highest number of the unemployed in Pakistan. There is little industrial activity because of an acute shortage of power availability. The Baloch argue that the province will have no shortage of funds if it gets adequate royalty for its natural resources. They have been opposed to any move to dilute the population complexion of the province as this can destroy their tribal identity. This was the primary reason why they resisted the development of Gwadar seaport and the plans for army housing schemes in the past. Thus, Islamabad will have to make drastic policy changes to end the Balochistan crisis. Panetta claimed that the quicker handoff was possible because of improved security and performance by Afghan forces. But that is at odds with the view of senior Afghan military officials that such a hasty move could spell disaster. It also goes against a warning by the American intelligence agencies in January that the Afghan conflict is mired in stalemate partly because of Pakistan’s extremist exports across the Durand Line, partly because many difficulties could jeopardise the Obama administration’s plans to withdraw most U.S. troops and hand over responsibility for the war to the Afghan government by 2014. Indeed, the Karzai government was already fearful that Afghan troops might not be ready to assume more responsibility for maintaining security. Panetta’s caveat that US and NATO troops that stay in Afghanistan would be "combat ready" has not eased Karzai’s concern. The main problem with President Obama’s Afghan strategy has always been his withdrawal statements in 2009 and 2011, and his 2014 deadline for NATO troop pullout This deadline has been unconnected to the West’s aims in Afghanistan. "2013" is even more unconnected and is inspired largely by Obama’s calculation that bringing the boys back home sooner rather than later will help him win next November’s presidential election. Even before Panetta’s surprise statement, Washington had topped up Obama’s withdrawal statements of 2009 and 2011 by stating that NATO would remove $30 billion worth of military equipment from Afghanistan; defence cuts (which will also affect Europe) and reduced aid to Afghanistan. Earlier this year, he talked of drawing down from Afghanistan and moving eastwards, strengthening America’s position in the Asia-Pacific. (That last statement of intent will not impress India or any other Asian country, especially if the US is perceived as retreating from Afghanistan; it will instead raise the question how America’s move eastwards will be financed if military expenditure is reduced). The exit strategy for Afghanistan included building of a strong Afghan government and army, able to defend their country. But Obama’s hurry to exit in 2013 raises the prospect of Afghanistan being up for grabs in a free-for-all that could include the Afghan army, the Taliban, and warlords belonging to minorities. Obama’s personal and domestic political considerations have come to the fore. The trouble is that they have little to do with Afghanistan’s stability. This is why American’s attempts to get reconciliation on the rails in December failed, with the Taliban declaring that they would continue fighting. That failure was all the more conspicuous because neither the Karzai government nor any Afghan group, apart from the Taliban, took part in the peace talks. Dr Abdullah Abdullah, an ethnic Tajik, who unsuccessfully challenged Karzai in the 2009 presidential elections and could stand for political office once again, is a major Taliban opponent. And even if Karzai tries his own hand at reconciliation with the Taliban, he will face resistance both from a parliament that is demanding an expansion of its oversight powers and a revived political opposition, the National Front for Afghanistan (NFA). The NFA is composed of leaders from three major non-Pashtun communities — the Tajiks, the Uzbeks and the Hazaras — all of whom opposed the Taliban and Pakistan during the 1990s and remain hostile to both. At the very least, the NFA — and parliamentarians from other groups — is opposed to parleys with the Taliban, and will call for a meaningful role in the peace process. That will go against the grain of Washington’s thinking that it is enough to talk to the Taliban to usher in peace. Even if Karzai — or the US — manage to include more Afghan parties in negotiations they will have to reconcile the Pashtun Taliban with the non-Pashtun NFA. Whether the Taliban will give up their insistence on the implementation of strict Sharia law is anyone’s guess. Women and minorities were among the most persecuted groups under the Taliban regime and will challenge any attempts to throw them back to second-class status. In such a situation the Afghan security forces could split along ethnic lines. The mere prospect of such a catastrophe should push Washington, Kabul and Islamabad to do everything to reach a broad-based political settlement. Peace talks must include all Afghan political groups and be Afghan-led. Even if the US manages to strike a deal with the Taliban — which seems to be difficult at the moment — it will not be able to impose its wishes on the Afghans who dislike it. Only the Afghans can forge an enduring consensus about their future government and political system. Last but not the least, America’s failure to coax or cajole Pakistan into making the Taliban more amenable to peace, despite massive amounts of aid over the last decade, stands out. Washington has brought no military pressure to bear on Pakistan to tackle the Afghan Taliban: US-Pakistan relations only nosedived after the killing of Osama bin Laden on Pakistani turf in May 2011 — and the US remains dependent on Pakistan’s army. Pakistan could certainly get a seat at the negotiating table — but could turn out to be obstructive if it keeps banging on its anti-India drum (General Kayani wants the Indian Embassy in Kabul to close down, but neither Karzai nor the US would accept this). India has always wanted NATO to stay the course — that is, defeat the Taliban. It must start thinking what it will do if NATO scuttles from Afghanistan and the Taliban come back to power. One option is to continue developing closer contacts with Russia, Iran and Central Asian countries, all of which have a vested interest in a stable Afghanistan; in addition, Iran is close to Afghanistan’s Shia minorities. Iran can also provide India access to Afghanistan and other Central Asian nations through the port of Chabahar. The Obama administration’s statements about withdrawal from Afghanistan have been ill-judged and ill-timed, and have serious implications for security in South Asia. The writer is Visiting Professor, Centre for Peace and Conflict Resolution, New Delhi. It was a beautiful prayer. But it was only years later that I realised how deeply it had influenced me. Last week I had to go to Delhi to attend a wedding. I asked Ajai, my nieghbour, who drove a taxi up and down to Chandigarh, to book my ticket from Kalka. When he brought my ticket I checked on the boogie number and the time of arrival at Delhi so that I could inform Rajbir who was to pick me up from the station. I boarded the train at Kalka and all went well till the train reached Chandigarh and someone came on board who claimed that I was sitting in his seat. The TT was called in to sort out the confusion. He was also bemused for a minute or so till he understood the situation – my ticket was for the morning Shatabdi. Fortunately, there were seats available. I had to buy a fresh ticket but I did not resent this. As I handed out the money I smiled to myself – You see my prime concern was that Ajay should not know about his forgetfulness and feel guilty about it. This is the first and only time that I am talking about what happened and that too because Ajay is not Ajay, I have used a false name and because he does not read English. That prayer has done me a world of good. How it hurts when your children do not share the same enthusiasm for Tintin, when you take them to show Stephen Spielberg’s film on the intrepid comic character with a child-like gusto! For a generation that grew up on the lone legitimate means of entertainment — comics, this insouciance can be heartbreaking. 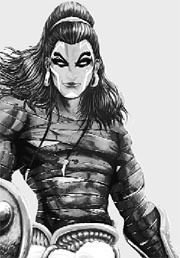 Perhaps, the new breed of Indians has met its indigenous expectations in comic characters — born and bred on the Indian soil, shaped by Indian situations and fired by the very Indian imagination. A Belgian journalist with his gelled hair and audacious feats in exotic lands is of lesser interest to a generation fed on the masala tales of Supandi, Shambhu, Tinkle, Nagraj and Chacha Chaudhury. The Frank Miller creations, howsoever mighty, seem to fail before the indigenous jugad of desi characters. Comics, like Hindi films are going through an image make-over after going through a long haul of identity-crisis. The old formula of mythological characters, or, characters designed on the likeness of superman is losing ground, and a new uniquely Indian character, with a pan-Indian appeal is struggling to take birth. Though, there are some indigenous characters, popular in pockets, but none has yet reached the kind of popularity enjoyed by its foreign counterparts like Spiderman or Superman. Unlike short stories or parables, comics are an independent entity, outside of any broader literary context. They also do not have a long history in our land. At once worldly and whimsical, rooted in the abstract as well as in the intellectual, they are an immense reflection of culture and lifestyle. And, most importantly, they shape up a young mind’s faculty of imagination. As Indians begin to assert their unique cultural identity in the world — in terms of music, literature and fashion, a by-product of a robust economy, they are beginning to look for their own comic characters. Like the nursery rhymes, taught only in English, one finds it impossible to remove the Franco-Belgian or American comic characters from one’s mind when one thinks of comics, thanks to their excellent production quality and marketing strategies. But, all this may change soon. While the comic industry is rife with hushed rumours of Marvel Comics, among the biggest in the comic industry in the world, looking for an Indian collaboration, several small and medium size characters of the Indian comic books are posing stiff competition to the super heroes of the American company that bought Disney. The third- world comic crowd — not as muscular and tech- savvy as the first-world superheroes are, is asserting its presence. And, the stagnant comic industry, despite big names like Marvel and DC, which have copyright over top ten comic characters, know that numbers count. A country of over a billion, with a fast growing literacy rate is good for a Batman, Spiderman or Superman, much in need of fresh oxygen with the economies of their countries of birth on a slide. 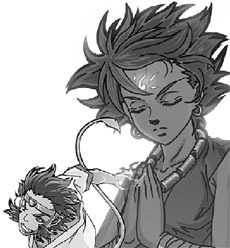 Also, for all the diversity, cultural assortment and creative energy inherent in India, it is only a matter of time before Indian comic industry decides to move away from creating variations of Hanuman, Karna and Arjun. The success of the likes of ACK (Amar Chitra Katha), which traditionally sourced its material from the success of the Indian myths, has made Indian writers lazy. There is a kind of hesitancy in imagining fresh characters rooted in the contemporary complexity of life and weave their own fables. Another reason for this lethargy is, a lot of animation and artwork is outsourced from small publishers in UK and USA, which is keeping the home grown creative talent busy, and it also offers good money. Yet, few voices are making a difference. To begin with, the second consecutive year of successful comic convention Comic Con India provided much needed platform to smaller publishers, rich with potential and looking for an audience. This year, the mascot of the convention was Superkudi ( kudi means a girl in North India), which reflected a tremendous shift taking place in the Indian comic industry at several layers. The buxom kudi wore salwar kameez and a cape like scarf, a kind of east meets west statement and rubbed shoulders with the likes of Wolverine and The Hulk and Timpa and Monkeeman. “ Participation of Marvel Comics this year in Comic Con itself is an indicator that there certainly is a market to be explored” says Jatin Varma, promoter, Comic Con India. They not only came but became co-sponsors of the event and showcased their upcoming titles like, The Avengers and John Carter. But, Varma also adds, many small publishers are breaking away from big names in the industry because, unless there is a unique concept to offer, the big-ticket publisher is of little help. Readers reject what is stale. 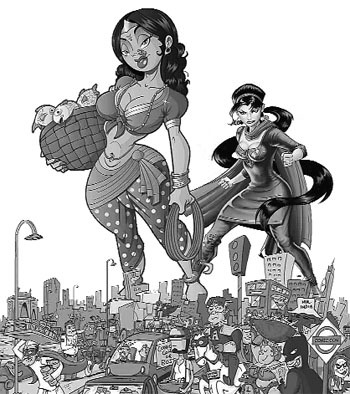 New concepts have been well-received offered by relatively new entrants; Manta Ray Comics has introduced a graphic novel on sexual exploitation, on complexity of urban life and on the life of Charles Shobhraj. These are unusual subjects for this genre, but have become instant hits. Ditto goes for Level 10 Comics, which introduced itself at the first Comic Con last year, is now creating ripples in the industry by introducing a South Indian hero Odayan, a character based on Yamraj called Daksh, who falls in love in hell and Old School, a hilarious take on the generation-gap. They also introduced Comic Jump, India’s first ever critically acclaimed monthly comic anthology, which is also India’s only comic magazine which has been well received by the urban, educated, middle class India. Other quirky storylines, which are trying to get heard in the big- bad world of superheroes and super-villains on the strength of their punch-lines are titles created by Untitled Creations like 40 Winks and Munkey Thugs, a supernatural thriller and an urban adventure, respectively. Rovolt Entertainment has come up with an interactive book Tiggu the Tiger, which even the toddlers can read and draw in, while for mature readers it has superhero genre Aveon 9 and Metafreakz. These titles are taking comics to a new height for the mature comic readers in India. Secondly, publishers are becoming market savvy. They have understood that publishing comics alone cannot sustain this industry. Almost everyone has understood the relevance of merchandising. “ Books are just one part of the comic industry, branding the character is essential with merchandise, because the profit margins on books are thin compared to the merchandise,” adds Varma of 20 Onwards Media. And the big names in the industry are diversifying, following the footsteps of their foreign counterparts. ACK is starting a state- of- the art animation studio, apart from getting in merchandising and producing animated feature films. But, wiser voices warn against the trend. Gary Groth, editor-in-chief of The Comics Journal, thinks that since superheroes have given Hollywood blockbusters, fewer and fewer copies of the comics are sold, and they largely go unread. Secondly, creation of cult characters in comics robs the writers of original ideas and creativity. In this context, India is at an advantage, with almost no comic superheroes so far, except the mythical characters to influence imagination. And, the readers, who constitute a niche segment, are ever hungry for new content. No wonder, shelves are overflowing with characters and ideas, all to the advantage of the reader who is spoilt for choices. Maximum innovation in the comic industry is taking place at the digital space. The consumer of this genre is in the age bracket of 5 to 20, who is net savvy and does not want to pick staid paper comic. Through digitalisation the experience is turned interactive, each page becomes a frame, negotiable, at times animated, which may also have an integrated voice. Ashhee Media’s comic strip Giddoo is completely animated and has a music anthem too. “Motion comics is where maximum innovation is happening, it brings down the cost, provides level-playing field because you don’t need distribution network of a big publishing house, if your content is good, you can go viral,” says Manish Dhingra of Mediology Software, the company digitalising several comics for web, mobile and tablet devices. The web space is becoming more popular for it enables creativity in the readers by making it interactive, people can go to the empty page and fill in the continuum, they can also evaluate the content. The comic world knows a serious fact, in the global world where losing identity means losing business, it’s important to be your own person. And, it’s the combination of rich content and smart presentation that will create elbow room for Daksh and Supandi amid crowded global comic characters. No wonder, Tintin has found a new Indian avatar in Timpa. n Liquid Comics has launched Graphic India, a new digital platform to showcase young artists and writers. Founded by entrepreneurs Sharad Devarajan, Gotham Chopra ( new- age guru Deepak Chopra’s son) and Suresh Seetharaman, Liquid Comics are developing titles – largely revolving around Indian themes – with some graphic novels created in association with top names from film industry like Shekhar Kapur, John Woo, Guy Ritchie, Nicolas Cage, Wes Craven, Barry Sonnenfeld and Marcus Nispel. n Comic legend Stan Lee is creating Chakra – The Invincible, a new Indian superhero character that revolves around a Mumbai teenage tech genius, Raju Rai, who develops an enhanced suit that activates mystical powers. n Bangalore based publisher Manta Ray created a new-age graphic novel Hush – featuring no words - about a girl sexually abused by her father. n Zombie Talkies: Bloodfest in Bollywood, a joint venture by film production banner iRock Media and 20 Onwards Media imprint Pop Culture Publishing, will be accompanied with upcoming release of feature film Rock The Shaadi. n Japanese manga artist Yukichi Yamamatsu too has launched an Indian title Stupid Guy Goes to India – based on his experiences of living in Delhi in 2004, published by Chennai-based Blaft Publications. n To further spark young Indian creative talent to look at graphic novels as a meaningful profession, Liquid Comics is featuring a ‘Create A Comic Contest,’ where creators of a winning idea submitted will be awarded a contract to publish their graphic novel and win Rs 100,000($2,000).